Let's face it, not everyone's Active Directory is a well-behaved, well-oiled machine. Some of us have directories that would make a fairy-tale monster look friendly and benevolent! 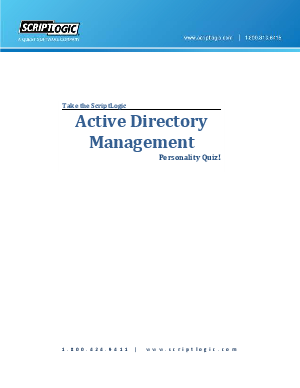 Test your directory's attitude and your management maturity with our quick Personality Quiz!